With all my recent health issues, I had been feeling pretty stressed and down. I heard through a mutual acquaintance that a company called SmarTravel was volunteering to help me escape my worries and go on a vacation. What a breath of fresh air! I was able to choose where I went from their list of dozens of vacation destinations. I had always wanted to visit the east coast so I chose Cape Cod! Nestled away near Province, our condo offered a private beach, great views, a kitchenette and comfortable furnishings. SmarTravel covered all accommodation costs associated with our seven night stay. Being on a budget, having the little kitchen also helped immensely as we were able to cook meals in house rather than spending money on restaurant fare. One of the reasons Cape Cod was appealing to me was because there were four lighthouses within driving distance of the condo. I have always been fascinated by lighthouses and wanted to see one in person. I like lighthouses because my mom and dad had visited some in Maine years ago. After both of my parents passed away, I thought visiting somewhere they loved so much would help bring me closer to them. Luckily, my longtime boyfriend Larry and I were able to take advantage of a day of beautiful weather to check out the lighthouses, which ended up being a very meaningful experience for me. On another day we went on a whale watching tour which was such a unique and fun experience! Unfortunately, most of the other days were a little damp or dreary, but we were so pleased to have a few days of good weather to enjoy the beach and ocean and see the lighthouses! When the weather cooperated, we would just sit on the beach and stare out at the ocean; that’s such a calming feeling! On one of the days when it rained, Larry and I decided to take a mini road trip to Boston. What did we do there? We checked out the backdrop from one of our favorite television shows- Cheers! That was definitely an entertaining experience we enjoyed. All in all, our trip to Cape Cod was amazing! I was blown away by what SmarTravel did for me, taking care of our accommodations and making sure I was able to relax and get away during a tough time in my life. A vacation was exactly what I needed and I am so thankful! Thanks for the recap, Jenny! We’re so glad you had a great time! impossible? We are here to help! multipurpose wardrobe so you will get more use out of the clothes you choose to bring. the items that take up the most space in a suitcase. large or heavy bottles. Use brands that can be shared between everyone in a family. so try your best to leave it behind and spend quality time with your family. United States and the Caribbean. For more information, click here. CINCINNATI (June 19, 2012) – SmarTravel, a company which sells vacations by the week at wholesale prices, announced today it has been named one of the Top Workplaces of 2012 according to The Cincinnati Enquirer. The company is recognized as a Top Workplace based on surveys employees completed describing and rating the workplace environment and management. Enquirer Media partnered with Workplace Dynamics to find the best workplaces in Cincinnati, Northern Kentucky and Southeast Indiana. Employees at companies in these locations were asked to answer questions about their workplaces and management teams. confidence in their management teams and are committed to delivering top notch services. SmarTravel is proud to be among such reputable companies and is committed to providing a work environment that encourages employee growth. Employees are consistently rewarded for a job well done by receiving recognition, respect and an increase in responsibility. past decade and has helped tens of thousands of families embark on quality, affordable vacations. You are cordially invited to join us tomorrow for the Circle City Indiana Pride Festival! This is the largest pride festival in the state and is organized by Indy Pride, Inc., a not-for-profit company. Tomorrow will be the conclusion of the week-long celebration in Indianapolis. Join SmarTravel from 11 a.m. – 7 p.m. at the American Legion Mall & Veteran’s Memorial Plaza. We’ll be hanging out with lots of other vendors, plus, there will be TONS of entertainment! Below is the schedule of entertainment from the Circle City Pride Festival website. We hope you can join us in this event to celebrate equality and love! least one location is a quick drive or flight from your family’s home. could ask for a better combination? great nightlife, Palm Springs is family-friendly as well as a great fit for singles or couples. statue of the late star; that is not something you see every day! Clinton is popular all year for its wineries and local restaurants. 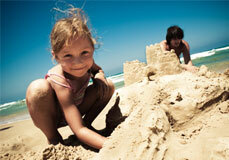 be more focused on a location that can provide lots of fun excursions for the family.